Ideal for front doors, side & back doors, garage entry doors, etc. Easily instruction guide on how to reprogram access codes. 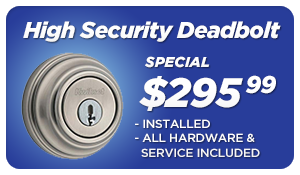 Mr. Locksmith has keyless entry systems for every budget. For our business clientele we have commercial grade high-security keyless entry, capable of programing dozens of access codes on a timetable schedule, all built around your master code. Each employee can have an access code which is activated during specific times of the day. This means that your employee’s code will be disabled after hours and during days off. All uses of their code are catalogued for your analysis. Easy programming and access to hundreds of codes means you can quickly grant temporary access. Master code system means you will never be locked out or overridden. For our residential clients we carry UL listed residential deadbolts in a keyless entry system. Keyless entry systems are just as secure as regular deadbolts, but with the added convenience of not having to carry keys around. Your home is more secure by removing the threat of lost keys. Not all keyless entry systems are secure. Some keyless systems have sacrificed security for the sake of convenience. As a result, certain brands of keyless entry and keyless door locks are especially vulnerable to forced entry and targeted attacks. 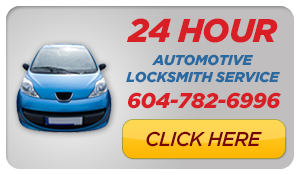 Mr. Locksmith technicians are experts in the field of keyless entry. 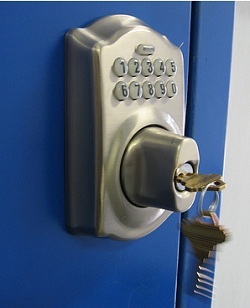 We are informed and experienced with all forms of keyless door hardware. Consult our locksmiths before you decide which keyless entry system is right for you.